This time we’re talking with the CEO Evaldas Valeiša who is going to tell us more about startup InsurTech which has recently launched in Lithuania market. So what is “InsurTech”? How does it work? Why should you overpay for your life insurance if you can get an equally good or even better offer at a substantially lower price. We blended available technologies and our know-how of insurance business to create an easy and convenient process for clients to significantly reduce their spending on life insurance. Reinsurance companies manage the largest risk portfolios and they can determine the real price for insurance. Every other intermediary between the customer and the reinsurer adds its cost and margin to insurance premium. What we do is that we bring reinsurer closer to the customer, automate as much as possible and due to the highly efficient processes we are able to cut insurance prices by third. We’re starting offering solution for the pure risk life insurance products. These products are typically distributed by banks, and the two biggest banks in Lithuania have more than 90% of the market. Their life insurance contract conditions are pretty good, but the price is not fair. Huge sales and administrative expenses does not allow them making life insurance more affordable for customers, and here is an opportunity for us to compete on efficiency. I personally worked in insurance industry for 20 years. Starting as an actuary through different managerial positions my career took me to the leading life insurance company in the region. One day I decided to quit my job and look for other challenges. Having the experience and understanding of the business I continued to be interested in the development of the insurance market. I discussed different opportunities and challenges of the market with my colleague, Mindaugas Jusius, who also had more than 10 years of experience working as a CEO of a large life insurance company. We came up with the conclusion that more affordable, modern and easily accessible life insurance products could contribute to the growth of insurance market. The idea itself is very universal, but the most important thing is how it is implemented. To start with life insurance market was a natural choice considering our background. We have developed the product and currently it is in the last phase of testing in real life environment. Bringing the full digital solution to the delicate insurance market is a great challenge in itself. We will open the access to public in the upcoming month. Our current offer is tailored for customers who have risk life insurance products already, and in terms of geography we limit ourselves to Lithuania at the moment. The biggest challenge is the distribution of the product. There are obvious facts and arguments showing that our offer to customers is better compared to what they currently have, but the challenge is to find a way to deliver these arguments to the hearts and minds of the customers. We will share our experiences with overcoming these challenges if you ask us several months later. We are lucky that our passion, knowledge and capabilities were convincing enough to attract more than 300k Eur investment. 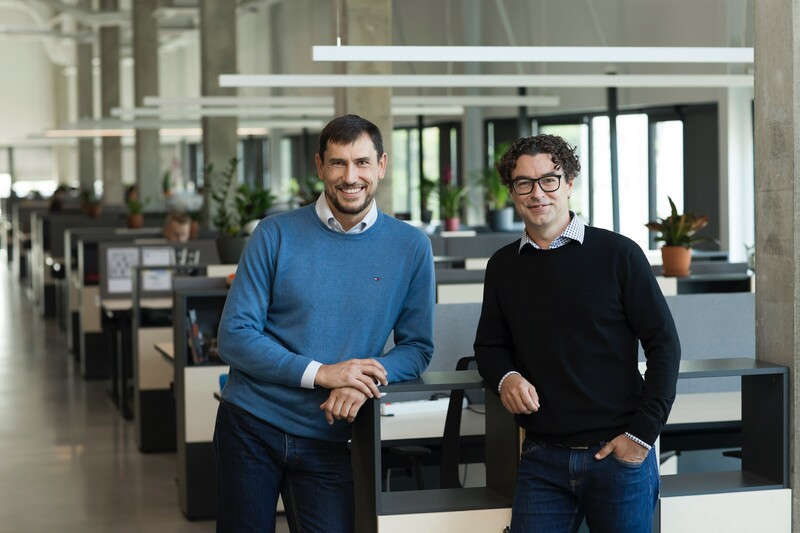 The limited partnership “Koinvesticinis fondas” that is co-investment venture capital fund and three more business angels are a part of funding to the startup. Ambitions are big and we see vast opportunities of expansion to the Western Europe, but let us first test the business model and technical solution in Lithuania.